Supply chain management (SCM) is a foundation that supports the fulfillment of consumer needs carried out by manufacturing, retail and wholesale businesses. In other words, SCM is also a determining factor for the success of these businesses. The supply chain in each business can be different. The most basic version includes a company, its suppliers and customers. However, in larger businesses, the coverage will most likely become wider. In this article, we will give you an overview of supply chain management, including its components and some simple tips for optimizing it. Supply Chain Management is a range of activities required to plan, control, and execute a product’s flows. This includes the process of acquiring raw materials, producing goods, and distributing products to end consumers, in the most efficient and cost-effective way. SCM is an expansive and complex effort that relies on each partner – from suppliers to producers and so on – in order to perform well. The aim of supply chain management itself is to maximize customer value and gain a competitive advantage in the market. To achieve that, various endeavors are required, both business strategies and specialized software. There are several activities involved during the planning stage, from the demand forecasting, purchasing planning, and production planning, to preparation of labor and transportation. Demand forecasting should be performed so that the merchant is able to figure out the type and quantity of products that must be prepared for a certain period of time. This is important to ensure that the goods produced and sold are based on consumer demand. To generate the accurate forecasts, merchants must look into their sales and inventory reports, and keep up with market trends. Merchants should consider using an inventory management system, so they can forecast demand the right way. Advanced inventory systems provide accurate inventory data and forecasting tools that allow users to generate valid results in just a few seconds. After figuring out the type and quantity of items that must be available in stock, the procurement department must then create purchase orders. Procurement is the acquisition of goods at the best price, in the right amount, and at the right time. The procurement process usually involves several stages; purchase requisition, purchase requisition review, purchase requisition review approval, and purchase order submission to suppliers. Procurement admins are responsible for checking and recording all the purchases and submitting purchase requests to the procurement manager. Procurement will be easier and simpler with the help of a purchasing management system. With this software, the purchasing department can create requests for quotations, purchase orders, purchase agreements, and blanket orders instantly. Good procurement software even provides portal suppliers to speed up the order procedures. The production process is a process in which all raw materials will be turned into finished products. This process usually involves both human labor and machines. Manufacturing downtime can lead to order fulfillment delays and certainly cause customer dissatisfaction. Therefore, downtime must be eliminated by ensuring the productivity of labor, machines, and all the equipment. After the goods have been produced, they must be stored in the warehouse. Warehousing involves inbound processing, outbound processing, picking and packing, cross-docking, and stock taking. Inbound and outbound logistics must always be recorded. Stock taking must also be carried out regularly so that there is no difference between the actual quantity of items and the quantity of items recorded in the books. All of these time-consuming warehouse activities can be automated with the help of warehouse management software. After all the ordered items are picked and packed, then they must be delivered to the customers. Couriers and transportation must be prepared in advance so that the orders can be shipped immediately. To ensure that customers receive their orders in a timely manner, merchants should have software that enables them to track shipments. With EQUIP Inventory, you can track your couriers on mobile devices. This system also allows couriers to update the status of deliveries through their smartphones. A return occurs when a consumer submits a refund request for lost, damaged, or wrong, or delayed items. 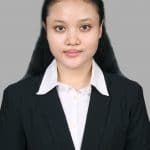 This process involves several activities such as product inspection, return goods authorization, product replacement, shipment scheduling, and refunds. The terms supply chain management and logistics are often confused or used interchangeably, but they are actually different. Logistics is a component of supply chain management. It focuses on moving products or materials in the most efficient way so that they arrive at the right place at the right time. 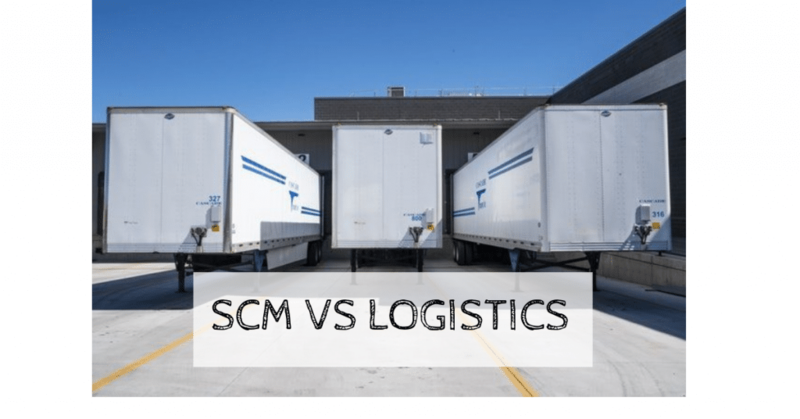 In contrast, SCM involves a broader range of activities, raw material sourcing, purchasing or procurement, and visibility improvement throughout the supply chain network of partners. There is no denying the fact that supply chain management can be a very complicated. The bigger your business is, the more complex your supply chain will be. Fortunately, with the help of technology, not only can you simplify your supply chain management, but also optimize it. You must improve the efficiency in every process involved in your supply chain management. Make sure that you can acquire the right amount of goods or raw materials from your suppliers at the right time, so that there is no need to delay the order fulfillment process. This may sound difficult, but with the help of the SCM system, everything can be done more efficiently and effectively. With EQUIP SCM Software, you can carry out all the supply chain management processes through one system, from planning (including demand forecasting), acquiring goods, checking inventory, to shipping and returning goods. Furthermore, this system can be integrated with other systems such as accounting, sales, and logistics management systems for a more comprehensive supply chain visibility.